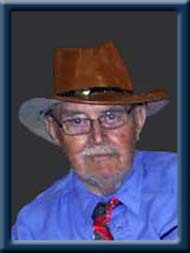 SUTTON, Arthur Eric “Rick”, 85, of Cherry Hill, formerly of Staffordshire, England, passed away peacefully in South Shore Regional Hospital, Bridgewater on Thursday, October 25th, 2012. Born on September 6th, 1927 in Newcastle-under- Lyme, he was a son of the late John and Margaret (French) Sutton. Rick had active service with the Argyle and Southerland Highlanders and the Royal Canadian Air Force. He is survived by his daughters, Suzanne of Cherry Hill and Margaret (Paul) Mitchell of Dumfries, Scotland and his sons, Walter of Vancouver and Anthony of Port Hardy. His grandchildren, Fiona and Sarah. He was predeceased by his wife, the former Sylvia Wright and infant brother Bernard. Rick will be missed. So sorry that he will no longer be there to sing his songs and to have a laugh with. We met Rick while Bernie’s father Eric lived at Ryan Hall/ Dublin also. We often chatted with him during our visits. He loved to sing and enjoyed his cats. Our sincere condolences to your family. Sue ,I send you my condolences on the death of your dad. You were there for him . Even while working in Bc , I remember you racing home to call him and make sure all is well. You were a devoted daughter. May his soul rest in peace. Your friend Judith. My thoughts are with you during this difficult time. Your Dad was a great character and a pithy conversationalist. I will miss our regular visits at Ryan Hall. We were so sorry to learn of your Dad’s passing. Our condolences go out to you and your family at this sad time. Sue, Our thoughts are with you and your family at this difficult time. I am sending your family our very deepest sympathy , my mom and I got to know Rick at Ryan Hall , he will be missed , my mom and he where table buddies and friends , my mom is from England too , so they had lots in common , he was a sweet and kind soul , we will miss him alot . Take care and know how much he was loved .